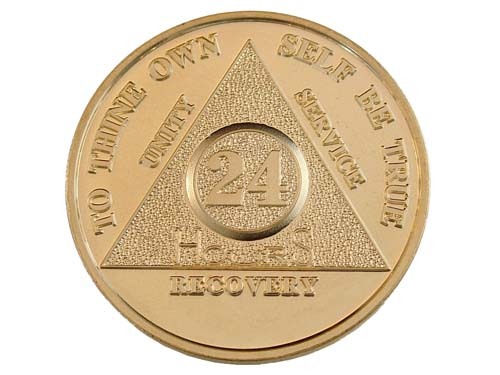 Our gold plated 24 Hour AA medallions are simply stunning and represent a distinctive commemorative gift for those reaching miracle milestones in their sobriety. The 24 Hour Chip is perfect for newcomers and old timers alike! 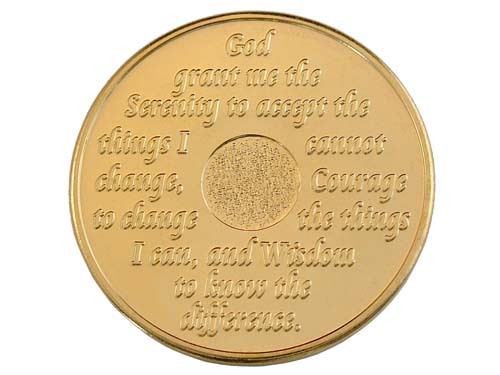 Each of these splendid gold plated medallions is polished to a brilliant finish and features the Serenity Prayer on the reverse side. This Gold Plated 24 Hour Medallion is delivered in a nice velvet gift pouch at no additional cost.